Six years into implementation, China’s Belt and Road Initiative is recognized for its sloganeering on creating super connectivity corridors in the energy and transport sectors. The narrative is built around how China imparts its infrastructure success in countries where it goes. When the BRI Forum concludes in Beijing in late April, we can anticipate the announcements financial support for new coal deals, such as in the years before at China and the 16 Central and Eastern European Countries meetings (“16 + 1”) in Serbia and Hungary, and ahead of the BRICS Summit in South Africa. The initiative aspires to be green but is still providing the political and financial support for the export of Chinese coal technologies. China continues to be a top financier and exporter of coal technologies internationally, contradicting its promotion of a ‘green’ belt and road and the climate change goals post Paris agreement. To date, up to 4.1 GW of coal plants may be built in Europe with the state financing support from China, and by China’s power generation state-owned enterprises (SOEs). These companies are fighting each other over environmentally harmful and legally questionable coal projects in Europe. As the international financial institutions phased out direct coal financing, and the OECD export credit group putting in place screening conditions for supporting coal-fired power plants, most of the coal projects in Southeast Europe are slated for loans from the China’s state and policy-driven banks, namely, the Export-Import Bank of China (China Eximbank), China Development Bank (CDB) or other Chinese banks. All the meanwhile, Chinese policy makers and banks have yet to commit to the establishing of legally binding laws which regulate screening measures for its overseas projects. Under the cooperation framework between China and 16 Central and Eastern European Countries, questions have been raised about compliance with regulations. And when examining the financed and planned c0al projects with Chinese involvement in southeast Europe, all projects exhibit breaches of EU legislation on environment, state aid and/or procurement according to an European environmental watchdog group. This contravenes with the cornerstone in China’s Guidance on Further Directing and Regulating Overseas Investment Direction, which when adopted signalized the country’s awareness of questionable compliances with environmental and social standards in many of its Belt and Road projects. Impacted by China’s domestic regulatory grip on coal power and the decline in construction of coal power plant contracts, China’s SOEs specializing in power generation and construction aided by the “Belt and Road” initiative has sought coal project opportunities in countries strategic to China’s belt and road cooperation. One such company is the state-owned China Energy Engineering Corporation, which saw a dramatic increase of contract value for projects in the belt and road countries. 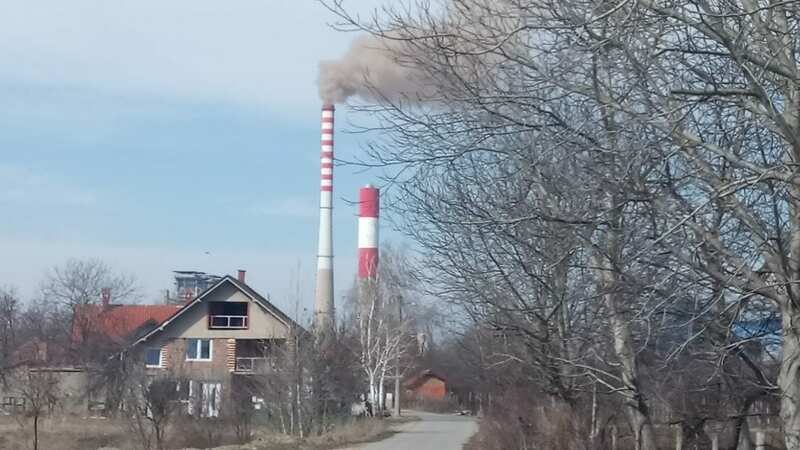 The company’s recent projects include the unit 7 of Tuzla coal-fired power station in Bosnia and Herzegovina, and the first phase of coal-fired power station in Nanding, Vietnam. The cementing of the coal deals by leading SOEs further consolidate the China’s standing in the international coal power generation and construction market. China has since 2016 under the direction of state policy set about reducing its domestic coal capacities, operationalizing the country’s 13th ‘Five-Year Plan’ (2016-2020) , which stipulated a reduction of coal mining and consumption, thus limiting the installed capacity of coal power down to the 1.1 billion kilowatts by 2020. The country’s energy authority, the National Energy Administration (NEA), subsequently issued an order to cancel 15 planned coal-fired power plant projects (12.4 gigawatts) awaiting construction permits in the same year. Around this time the world witnessed ground breaking commitments from power brokers committing to the strengthening of low carbon policies, with China and the US in the lead agreeing to strictly control public finance for projects with ‘high carbon emissions’ domestically and internationally. Shortly after, in early January 2017, China’s energy authority required the suspension of what the media reported would be another 101 planned, newly built and under construction coal-fired power units which otherwise had been given the green light by the country’s provincial authorities. Industry platform in China reported at that time the suspension of domestic coal fleet was equivalent to 100 GW in capacity. As China increased its efforts to cap coal, address coal overcapacity, air pollution, as well as cost overrun from underperforming coal plants at home, Chinese state banks and state-owned enterprises (SOEs) specializing in power generation companies were found to be involved in either the preparation or construction of at least 79 coal-fired generation projects totally 52 GW in capacity around the world, in spite of the earlier pledge. One such hotspot during this period was Southeast Europe. Possibly not well known is that the plethora of Chinese state-owned companies stand in fierce competition against one another for projects in Europe, but also in countries like Bangladesh, Vietnam, and Pakistan. As China’s domestic coal market became increasingly restrictive, overseas projects such as Bosnia’s Banovici project saw nine Chinese compatriots in fierce competition during the first round of tender. The company that won the tender was able to confirm the securing of the bid several months before the procedure was concluded. This underscore the challenge of meeting international best practices for these Chinese SOEs, many of which are debarred for non-compliant practices by international banks such as the World Bank Group and the African Development Bank. While the business opportunities are limited in the multilateral infrastructure finance arena as these institutions jointly observe the debarment list, the Belt and Road Initiative allows these Chinese SOEs to seek deals bilaterally with countries, thus expanding China’s energy portfolio internationally. Some of China supported overseas infrastructure projects – including those in the coal sector – are known for questionable compliance with laws regulating environmental impact assessment, pollution control and tender procedures in the project host countries. In the meantime, 2018 marked a reversal in China’s domestic coal cap policy when a research showed China’s central government’s inability to halt the construction of new coal projects or the plants connecting to grid.. In March, the European Union in its strategic outlook on EU-China relations highlights the mutual opportunities and challenges on climate change and energy transition, and cautions China is constructing coal-fired power stations in many countries, and how this form of ¨carbon leakage¨ undermines the global goals of the Paris Agreement. At the same as China is aggressively exporting its coal sector to Southeast Europe, Chinese power generation companies have over 7.61 billion USD invested in wind farm projects in Europe. Globally, any coal project represents a threat to the health of the people and the environment that sustain their livelihoods. The enabling of coal projects as an attempt to sustain Chinese power generation and construction SOEs could mean that project recipient countries become locked into several decades of uneconomic coal use, hampering the fitness of these countries’ abilities to pay back the loans, as well as the irreversible environmental degradation and destruction of ecosystems from which people depend on. When implementing the low carbon ambition of the Belt and Road Initiative outside its borders, China has an important decision to make, and it isn’t easy one. Will China introduce binding policy and law that restrict the financing and investments of overseas coal projects, thus fulfilling President’s Xi’s vision for the harmonious coexistence among the people of BRI nations and their social environment? At any rate, the people of BRI countries will get a front row seat either way. China Energy Engineering Corporation’s 2018 ‘Belt and Road Bringing Energy to the World Report’. According to interview conducted in 2015 by the author. With the most recent announcement of interest dating to February 2019 by Power China, while other projects have existing cooperation MoUs signed between China and project promoters.